Product prices and availability are accurate as of 2019-04-24 09:20:38 UTC and are subject to change. Any price and availability information displayed on http://www.amazon.com/ at the time of purchase will apply to the purchase of this product. 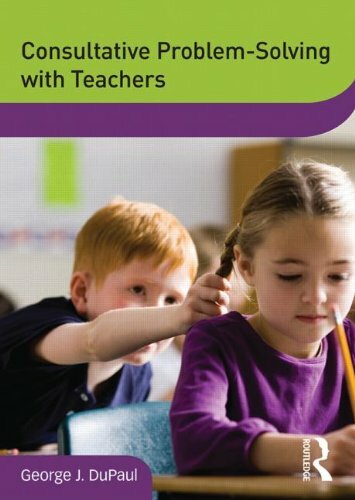 This workshop describes the need for collaborative problem-solving with teachers to design school-based interventions for children with a wide-variety of challenging behaviors. 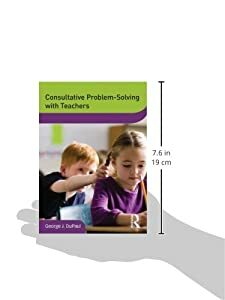 Dr. DuPaul provides an overview of the types of consultative problem-solving and the steps involved to create a positive consultation relationship. The four consultative problem-solving steps are described: 1) problem identification, 2) problem analysis, 3) plan implementation, and 4) treatment evaluation. Through case examples and modeling, Dr. DuPaul describes the steps of consultative problem solving in detail. Runtime:166 minutes.